The latest Israeli strike and the exchange of threats are very serious, and the possibility of a military confrontation raises the question as to what Russia — which is friendly with both sides — could or would do. But whatever Russia does, it would stand to lose either way, which is why it has reacted to previous Israeli strikes hardly at all. “Escalation of the confrontation between Syria and Israel would mean that Russia has limited influence on both actors,” Timur Akhmetov, an analyst who specializes on Russia’s Middle East foreign policy, told War Is Boring. Before the latest air strikes, Israeli Prime Minister Benjamin Netanyahu visited Russian President Vladimir Putin to discuss Iran’s presence in Syria. The Assad regime and Hezbollah are Tehran’s main allies in the Levant. The flow of Iranian troops and weapons into Syria have been vital to both sustaining Assad’s grip on power and turning the civil war’s momentum in the regime’s favor. Israel vehemently opposes Iran establishing a second front along the Golan Heights or acquiring formidable Russian-made anti-air and anti-ship missiles from Syria’s arsenal — which is the primary reason Israel has launched intermittent raids into Syria since at least January 2013. But Israel wants to stay out of Russia’s way, and the Kremlin seems to think it’s in its interest to do likewise. Immediately after the Russian military build-up in Syria in September 2015, Netanyahu visited Putin and established a “deconfliction” agreement to avoid clashes. Russian warplanes breached Israeli airspace in the past but were not targeted, which is in stark contrast to how Turkey has dealt with unwanted aircraft. In November 2015, a Turkish F-16 shot down a Russian Su-24 bomber which briefly strayed into Turkish skies, resulting in the death of the pilot who was killed by rebel ground fire while still in his parachute. The shoot-down resulted in a tense seven-month-long estrangement between Moscow and Ankara. But Israel’s latest Syrian air strike is the first time Russia has openly demanded an explanation from Israel — the air strikes in Homs reportedly impacted near Russian troops. The Israeli government claimed the raid was part of its consistent policy of preventing any potential Hezbollah missile acquisitions. Russia has never attempted to directly hinder Israeli air strikes into Syria — although it could. 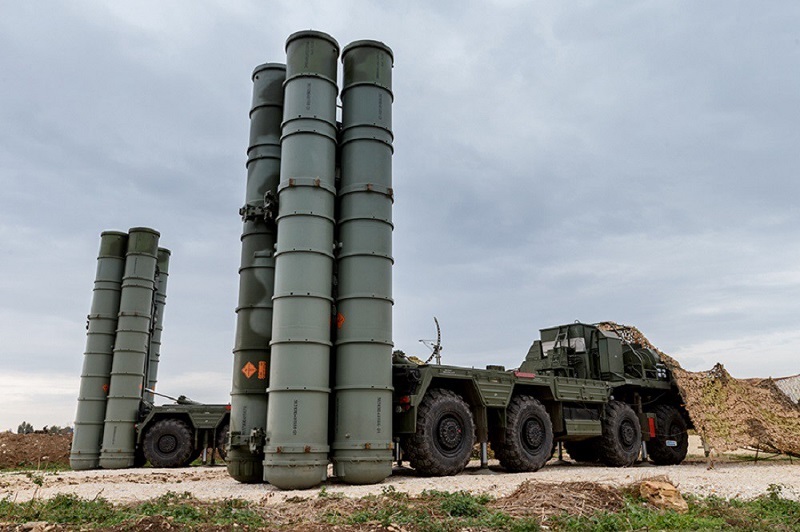 The Kremlin has deployed sophisticated, long-range S-400 air-defense missiles to Syria, which are well capable of threatening Israeli aircraft if Russia chooses to. Russian warplanes — including fighter jets — are in the air. However, this doesn’t mean Putin has given Israel the green light to attack Syrian military targets. It’s possible he is willing to overlook them provided they do not fundamentally threaten Russia’s goal keeping Assad’s regime intact. In November 2016, Russia convinced the Syrian government to stand down after it threatened to shoot down Turkish jets operating over northwest Syria, where the warplanes were providing air support to Turkey’s Euphrates Shield operation. The Kremlin would likely attempt a similar move to deescalate any potential clashes between Israel and Syria. If it failed to do so this would gravely harm Russia’s image as a leading power and arbiter in the region, as Akhmetov pointed out. “I think the Russians would pull back as much as possible in the event of a confrontation between Israel and Syria,” said Neil Hauer, an analyst focusing on Russian-Syrian relations at the Canadian intelligence firm SecDev.